Trying to record videos of your kids that actually look good can be challenging and you may be frustrated by some of the footage that you’ve recorded up to now. That being said there are some easy ways that you can record much better videos involving kids. In most of the videos that you record of your kids they’re probably running up and down, moving around a lot, and having a great time. To make sure all that movement looks smooth and clear in your video however, you need to make sure that its frame rate is high enough. Although a frame rate of 30 is generally acceptable, if you want your video to really look great you should try pushing it up to 60 if your camera allows for it. That will increase the file size of the videos that you record, but it will be well worth it when you see how much of a difference the frame rate makes. It may be a lot more comfortable for you to stand up and record from your eye-level, but that is far from the ideal perspective when recording videos of kids who are probably several feet shorter than you are. Instead, you should try to kneel or even lie down and position your camera more at their level. Not only will this allow you to record your kids’ faces and expressions a lot better, but it will let you capture the world around them as well. Safe to say it is the best way to record video footage of your kids that actually looks amazing. The closer you and your camera are to your kids, the more you’ll be able capture in the video – whether it is quick reactions, subtle shifts in expressions, and so on. However if you do get close you should make it a point not to disrupt your kids and make them too aware they’re being recorded. As far as possible recording candid shots of your kids while they’re engrossed games or activities of their own is best, so you need to tread a thin line between getting close enough but not too close. Although it may seem like a good idea to grab the camera and follow your kid as they’re running around – nothing could be further from the truth. All you’re likely to end up is a collection of shaky and garbled video footage that doesn’t really show anything at all. It is always a good idea to avoid moving the camera around unless absolutely necessary. Instead, find a good position and perch yourself there while recording – and try using the absolute minimal basic camera moves if need be. 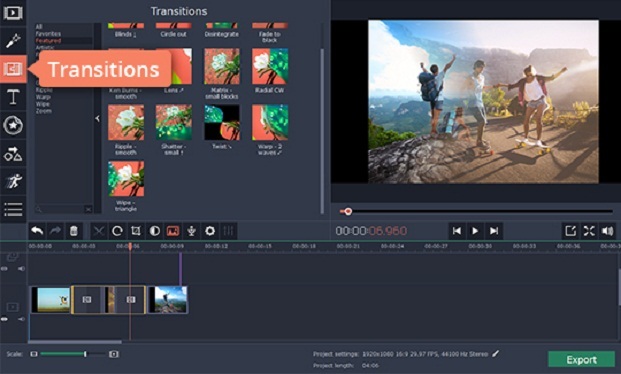 No matter how careful you are about the videos you record, some editing may be required to tidy it up – but any basic video editor that lets you trim and splice videos should do the trick. For example you could try Movavi Video Editor with the instructions at https://www.movavi.com/support/how-to/how-to-make-home-movies.html. As you should be starting to see, although recording videos of your kids can be challenging – there are ways to improve the footage that you capture by leaps and bounds. Just try out any (or all) of the tips listed above, and you’ll see the impact they can have on your videos.